Size: W 22 3/4" x D 38 1/4" x H 59" Top Step Height: 42" Step Width: 2 1/2" Weight: 14.7 lbs. Loading Capacity: 220 lbs. Folding 4 step stool which stands on its own. The bar enables smooth and safe open/close actions. 4 step debut from award-winning step stool Lucano. 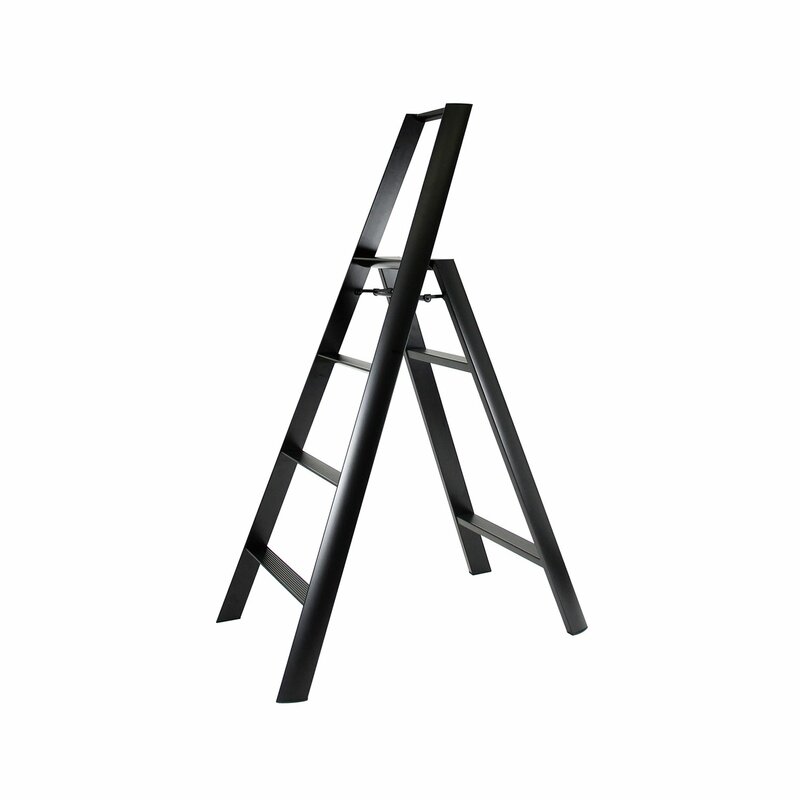 Color: Black The lucano stepstool transforms an ordinary ladder into a slim and gracefulwork of art, blending harmoniously into the home interior. To minimize visualinformation and achieve a simple framework, only triangular elements are usedfor the legs and steps, and all the screws are designed to be invisible.Crafted from aluminum it is extremely light weight, and Locking Bar making iteasy, safe and comfortable for everyone in the family to use. With thecombination of high utility and beauty, there is no need to hide it away whennot in use.